What is so significant about an insignificant conversation between two cousins? As featured in the TES! Find out all about the book from here. It’s free! Thanks to Nyree Scott, of Christ Church University, Canterbury, for pointing out an error to me: Year 1 is 5-6 year olds, not 6-7 year olds. Don't know how I came to make such a daft mistake, but it's all corrected now! The Myebook version has been read 2,759 times. The Slideshare version has been read 625 times. The Scribd version has been read 586 times. It has been downloaded 15,143 times. Viewed 2,748 times in Myebook. 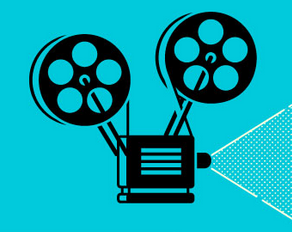 Vewed 544 times in SlideShare. Viewed 429 times in Scribd. ﻿Read more about it here. Thanks to Nyree Scott, of the University of Canterbury, for pointing out an error to me: Year 1 is 5-6 year olds, not 6-7 year olds. Don't know how I came to make such a daft mistake, but it's all corrected now! 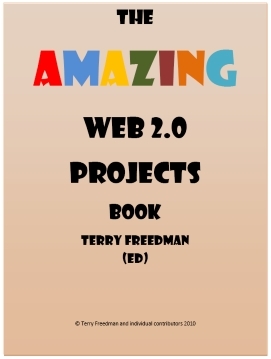 I thought you might be interested in some news about the Amazing Web 2.0 Projects Book. As of 5 minutes ago, it had been downloaded at least 11,928 times since the 14th March. It consists of just three questions, so won’t take you long! Thanks. All you do is go into the HTML view of your blog post or web page, and put that code within the Body section, ie between the tags <body></body>. 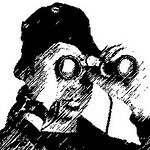 You should see the questions as they appear on the link above once you have done that. Once someone has voted, they will be able to see the results of the poll so far. As the poll is actually hosted on my site, it won’t use up valuable real estate on yours. I’ve set up two methods whereby you can embed the book on your own website or blog if you want to. Firstly, there is a SlideShare option. The links are live, ie you can click on them and they work. 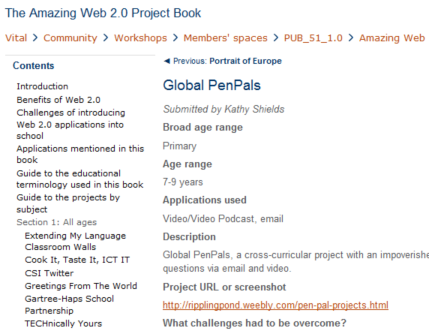 Also, the subject-project list near the beginning of the book now contains hyperlinks to the projects cited. You’ll see the embed code near the top right-hand side of the screen. Secondly, I have created a Myebook version. To obtain the embed code, you will need to open the book and then click on the Info tab. The advantage of this over the SlideShare version is that it looks and sounds like a real book, and you can zoom in to read it more clearly. Also, you can grab parts of the screen and email it to a friend. Unfortunately, though, the links don’t work, simply because I don’t have time to create them all manually – I’m waiting for the automated version of the book builder to do that for me! Thanks again for contributing to this ebook, and for spreading the word about it. Judging from the number of downloads and the comments written about it, I think a lot of people have found it very useful so far.